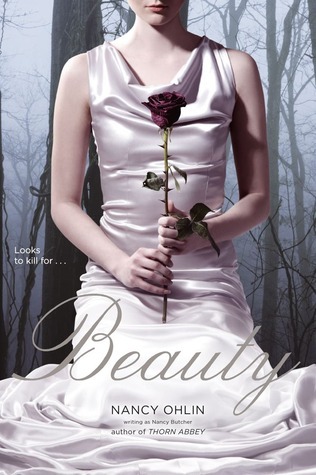 To clear up confusion, first of all, this is a reprint of Beauty by Nancy Butcher. Based on her website, I am thinking that the reason for the change is that she is going by her married name now. To be honest, I saw the cover and I immediately thought this was a retelling of Beauty and the Beast. Boy do I get the award for an epic failure at guess what a book is about. This book has a touch of Snow White in it. A queen who is all sorts of beautiful on the outside and all sorts of ugly on the inside has discovered that her daughter is going to surpass her in beauty. She sends her away with the great idea that she will become less beautiful (spoiler alert: her plan backfires). There is an evil magician (evil cosmetologist?) and bunnies. All in all this is an enjoyable book. It clocks in at around 125 pages and is by far one of the shortest books that I have read lately. The length of this book makes it both a fast read and resembling a novella. It is a complete story, but lacks the detail and depth that most books have. Middle grade readers will enjoy this fun fantasy story. There is no romance in this book, and focuses on friendship, and love and acceptance from others. This is a check out from the library book for me. I enjoyed it but wouldn't purchase it, EXCEPT if I had a middle grade reader to give it to. This sounds interesting. Based on your comments, I would probably agree that this would be more suitable for middle grade readers. I'm very interested in this book, because I love fairytales. I've read several short stories (like Cameron Dokey, around 115 pages) and I always like them.